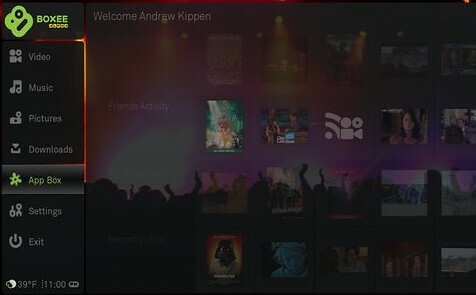 The Boxee team pushed out a new version of the popular Home Theater PC (HTPC) software, Boxee today. This version includes an "App Box" which is their version of an Application Store, an RSS reader optimized ofr video feeds such as Hulu, Google Video, YouTube and many others, and finally an auto-update feature. The update is for the Mac, AppleTV and Windows versions with a Linux update planned for a later date. There is also an update with regards to our meetings with Hulu and their content providers below. Sadly, they weren't ready to work with us yet. 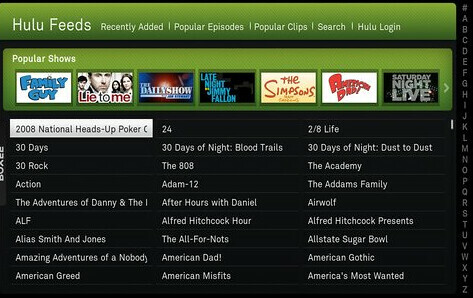 When they are, we look forward to bringing a more robust version of the Hulu application back to boxee with their help. If it wasn't obvious before, it should be now - Hulu has no intention of working with or even allowing third parties to create an alternative interface or allow the viewing of Hulu on a TV (via HTPC). Its extremely unfortunate that the industry isn't ready to evolve the TV viewing experience in this way, but they're obviously trying to protect the control and more importantly revenue stream they have with their current agreements with cable and satellite companies. Now for the "better" news. Given Hulu's resistance to the Boxee, Hulu viewer on the older version, Boxee has made the decision to include RSS feeds instead - and those RSS feeds include Hulu content. So while it definitely isn't as attractive or robust as the Hulu Application that was "turned off", you can still browse and view Hulu content on Boxee. Based on this decision, I'm guessing Hulu's main "beef" with the Boxee app was in the way they presented it. If we see Hulu turn off the RSS feeds from their site, we'll know it was more then that. The last thing added to this version was the auto-update. This means users can update their Boxee software within the software itself without exiting Boxee.